These latest Joy Cowley books were a surprise to me. The style is quite different yet again. I thought of myself as very familiar with Joy Cowley’s stories, a wide range of which I have used in my classroom with huge success. I have loved the soft water colours of many of her previous works, such as the Greedy Cat series, Brodie, and the Mrs Wishy Washy stories. But these computer generated Buzzy Bee stories are as bold and loud as the traditional Buzzy Bee toy. 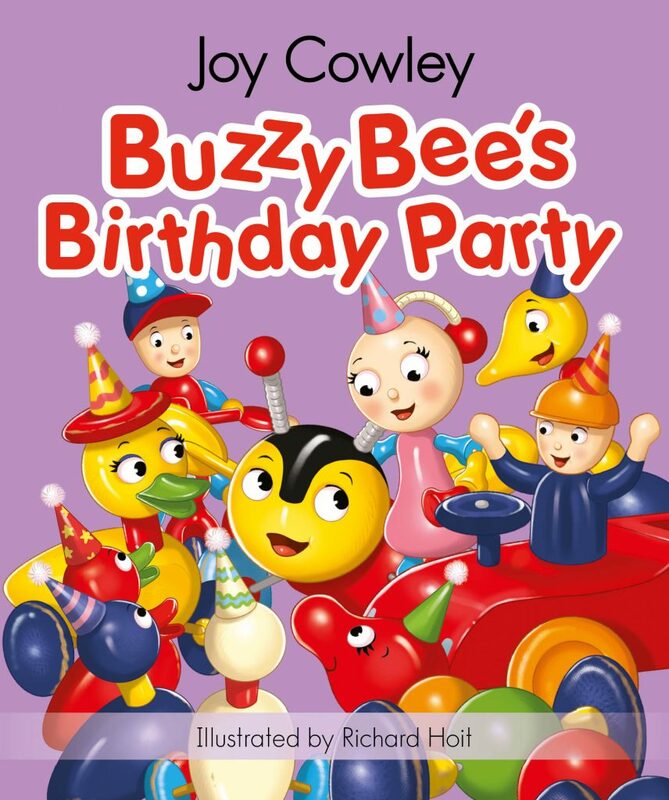 Each book consists of four stories about Buzzy Bee and his friends. Children are immediately drawn to the books as the Buzzy Bee on the covers is exactly the one they know from their babyhood. The Birthday Party is about counting, naming shapes, colours and remembering days of the week. The Baby-sitter book is about fractions, sizes and time. Oscar also learns the difference between left and right in this book. I tried them both out on my grandchildren aged between two and a half and five. They loved them, laughed out loud and immediately clamoured for more. I suspect there will be many more from Joy Cowley as children come to know and love this series. Cowley has clearly connected with and responded to children just as cleverly as she has always done. Both books are laugh out loud humour for pre-schoolers. The artwork, by Richard Hoit, is bold and captivating.